Exclusive to Dubois Agrinovation ! After 3 years of research on components and technique reliability, Dubois Agrinovation proudly presents its new retractable low tunnel system perfect for North American weather. It is simple, easy to set up, and the investment cost is 3 times less expensive than high tunnels. This system can be adapted to your productions. It includes hoops, clear thermal film perforated on both sides, and bungee elastics. The elastics allow to maintain the structure in place and to pull up or down the sides according to the type of micro climate that you need. 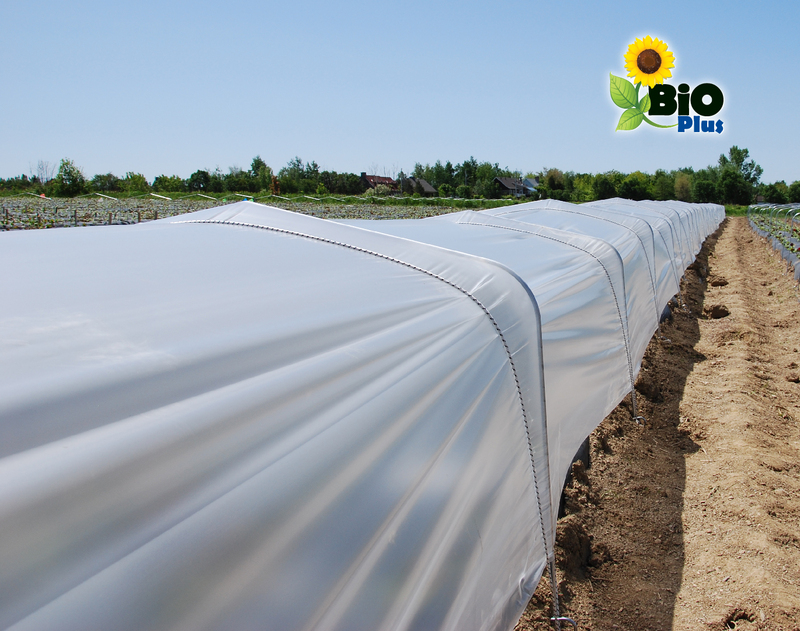 There are several advantages to use the retractable low tunnel system: your production season is extended, effective yield, less disease caused by water, protection against hail, wind, and heavy rain. * Elastics must be stored inside during winter to protect them from cold temperature. * This kit allows you to cover one bed of 28’’ wide by 50’ long. You can design your kit to your specifications by contacting one of our sales representatives. installed for added frost protection.